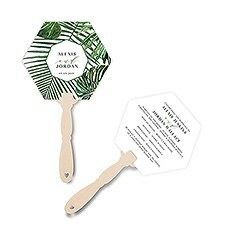 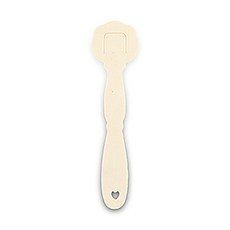 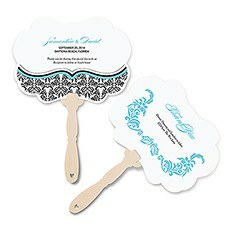 For a pretty wedding prop or for a practical favour, Weddingstar's selection of personalized hand fans and hand fan wedding favours will provide an easy, breezy way to commemorate your wedding ceremony with graceful style. 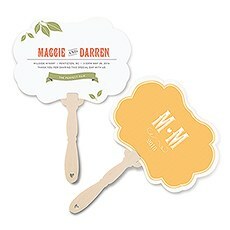 Choose from a wide variety of fan favours - from customized, printed personalized paper fans and lovely silk options, to beautiful Battenburg lace folding fans. 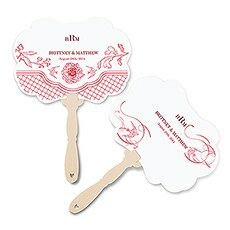 You are certain to find the hand fan that you are looking for in our hand fan wedding favour shop.For a romantically lacy look, select our Battenburg lace folding fan favour. 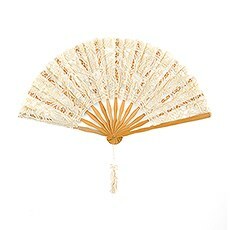 Delicate lace is hand woven and attached to a wooden folding frame that can be opened and closed as needed. 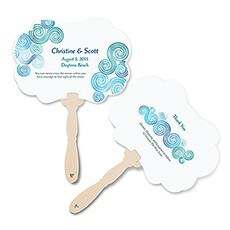 Use in a wedding ceremony, during wedding photos or at any other venue where a slight breeze is needed. 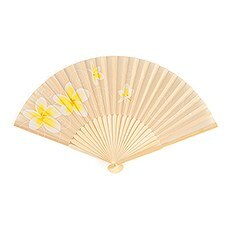 Available in antique colour or white with a silky decorative tassel, these decorative hand fans will best match a romantic-at-heart's personality, dress and style.Opt for silk folding hand fan favours for your wedding crew, guests and more. 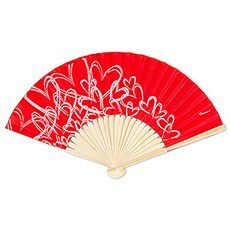 These beautifully constructed silk folding fans are available in several different styles and designs - we are confident that you will find one to match your wedding's theme and colour! 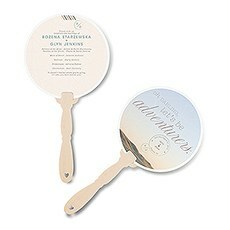 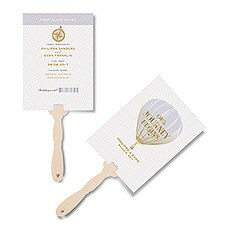 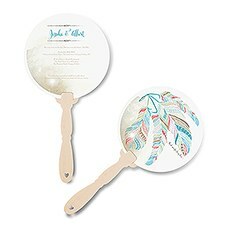 These silk folding fan favours look amazing at place settings - they are ideal as a budget-friendly favour that your guests will be delighted to use again and again.Our ever-popular personalized printed paper fans are fully customizable and will add a pretty, custom touch to your wedding, reception or other celebration. 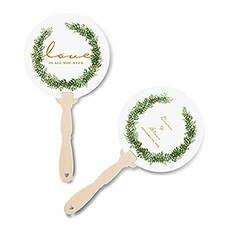 These pretty printed fans are available in a huge variety of styles - make them available to all of your guests by placing them in baskets at your wedding ceremony or add them to each of your tables at a wedding reception. 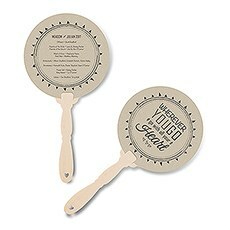 Your guests will love this keepsake that they can take home and reuse. 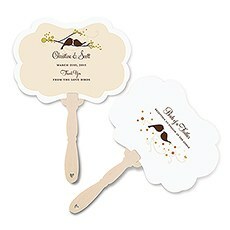 Choose the colour, design and shape that is just right for your festivities. 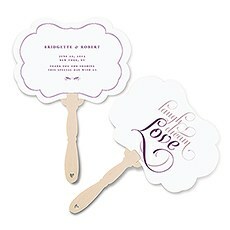 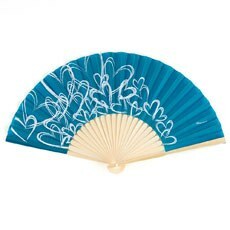 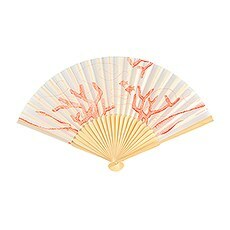 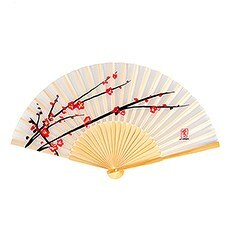 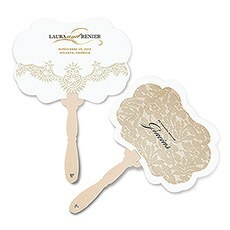 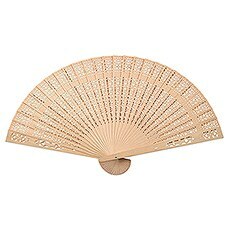 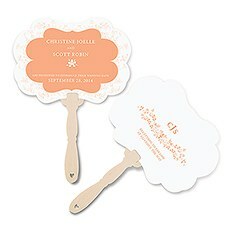 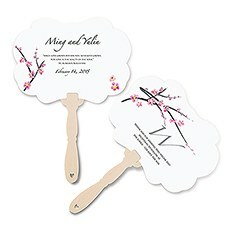 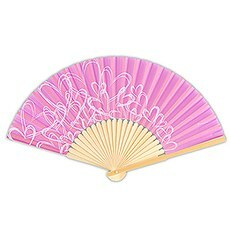 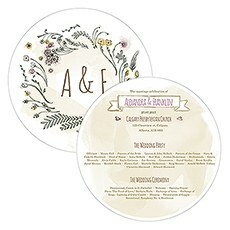 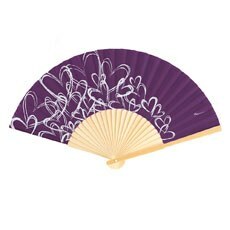 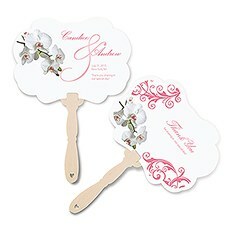 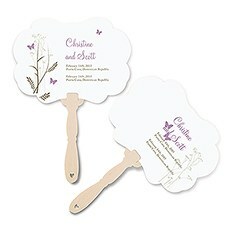 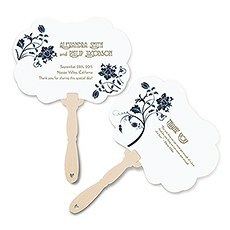 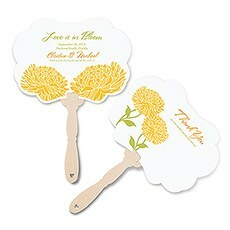 From traditional to modern, there is a personalized hand fan favour for every preference at Weddingstar.